​Mark your calendars for ​Dickens of a Ride 2018! October 6, 2018 | 8 a.m. Returning this fall, Dickens of a Ride is a must attend event for the entire family! 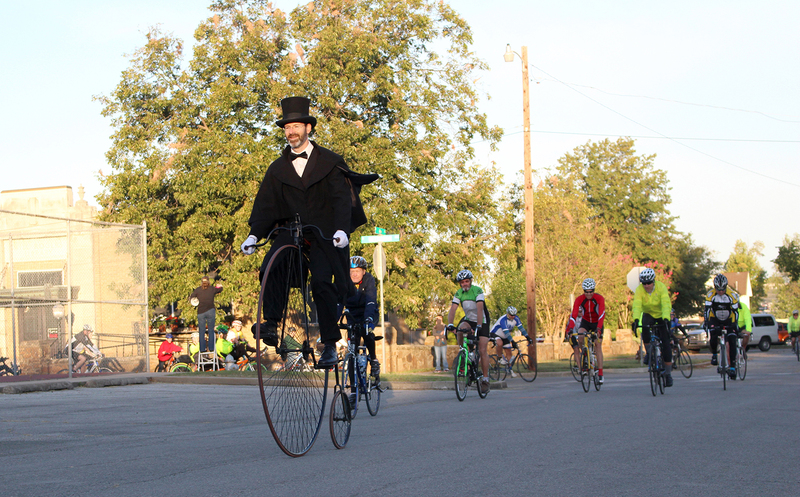 The bicycle ride begins in downtown Claremore, Oklahoma at Gazebo Park, located at Muskogee Ave. and Will Rogers Blvd. The available routes, depending on the distance chosen by the bike rider, will take you through the scenic country side west of Claremore, through Oologah, then to the Claremore Lake area. The longer routes, including the competitive 100 mile bicycle route, will continue east of Claremore through rolling hillsides then back into Claremore from the East. End the ride back at the Gazebo! Register online now or download the registration form! 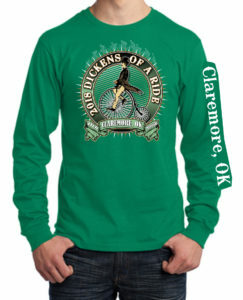 Special Order Long Sleeve Ride Shirts! Special Order Only - $20! Orders must be in by Sept. 14 to secure your shirt!